Hi there, Tamy filling in for Joanne today. Since her theme is Italian, I thought I’d share my Chicken Caccitaore. Bon Apetit! Dissolve the tomato paste into the wine and chicken broth. Sift together the flour, salt and pepper. Dredge the chicken breasts in the flour mixture. Heat the butter and oil in a large skillet over a medium-high heat. Brown chicken, turning regularly until browned on both sides, for 5-10 minutes. Add the onion and garlic while browning the chicken. Add the remaining ingredients. Simmer, stirring occasionally until chicken is cooked through and sauce is thickened. Serve over prepared pasta**. **I prepare the pasta in chicken broth for added flavor. 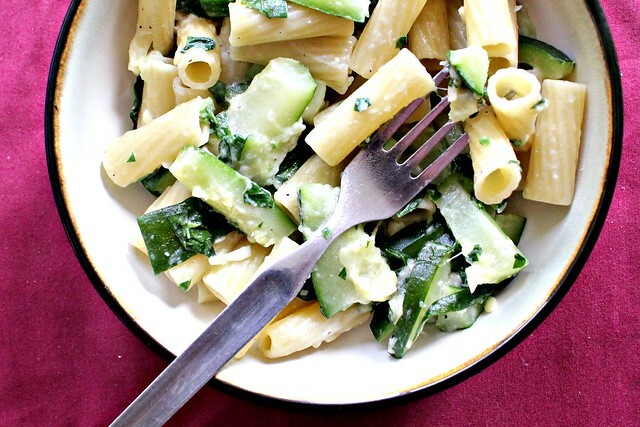 Summer squash is an all or nothing kind of vegetable. You either have none. Or you have 600. I know this because my father keeps calling me and asking me why his zucchini won’t grow while my CSA keeps putting at least 6 pounds in my box every week. So you see, this is not a “shades of gray” kind of situation. And if you happen to be on my side of the spectrum, then you need a quick fix. And fast. 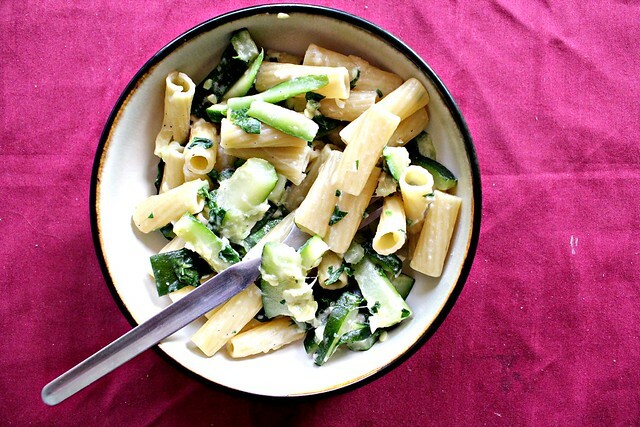 Thankfully, Marcella Hazan provides just that with her creamy zucchini and basil sauce. All the flavors of summer in one bowl. Dinner just got so much better. Set a large pot of SALTED water to a boil. Cook pasta according to package directions. Meanwhile, wash and slice zucchini in strips. Slice into strips the length of a tootsie roll, but skinnier. Heat butter and olive oil in a pan over medium heat. Add garlic and stir. Before garlic starts to brown, add zucchini and cook, stirring occasionally, until cooked through and starting to brown a bit. Add cream. Season with salt and pepper. Let cook on medium-low heat until thickened a bit. Let simmer until pasta is done. Just before mixing with the pasta, stir basil into the sauce and turn off the heat. 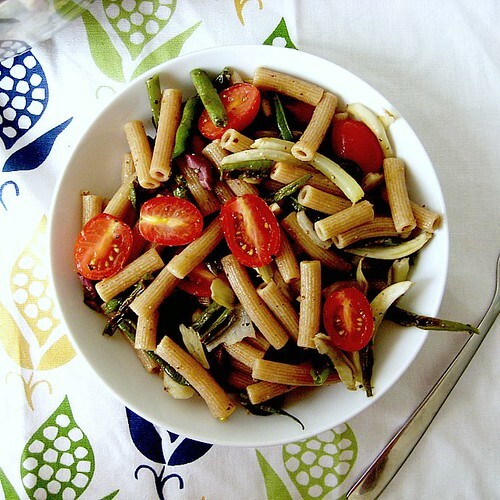 Toss with pasta and Parmesan cheese. I thought I was totally going to be the downer at this year’s 4th of July. I don’t eat meat. And I don’t eat mayo. So basically I’ve already broken the two cardinal sins of celebrating my country’s independence. And I am on the verge of being disowned by my family for heretical life practices. It doesn’t help that I’m not married and have produced zero grandchildren for my mother to fawn over. Then I met this pasta salad. It changed everything. It saved my soul. It is healthy without tasting healthy and has that familiar vinegar/mustard combination that allows people to feel comforted upon tasting it, forgetting the fact that they are eating green beans and fennel and might actually be doing something good for their arteries. 1. Preheat the oven to 400. 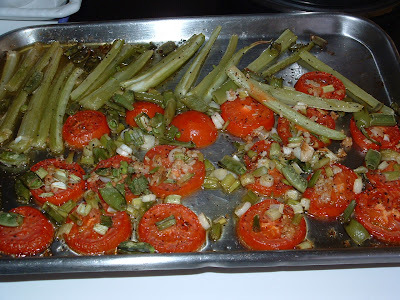 Arrange the green beans, onions, and fennel on a baking sheet. Spray with cooking spray or drizzle with olive oil. Sprinkle with salt and roast for 20-25 minutes or until tender. 2. Cook pasta under al dente. Drain and place in a large serving bowl. 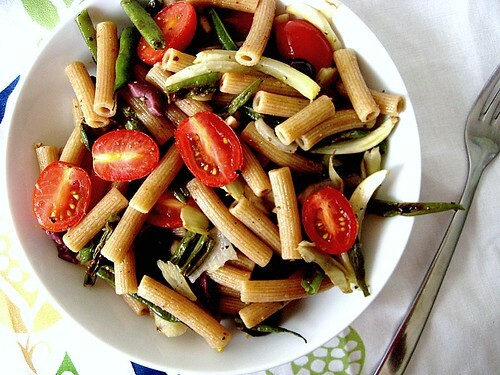 Mix in tomatoes, olives, and roasted veggies. 3. Whisk together the olive oil, lemon juice, garlic, dijon mustard, balsamic vinegar, salt, and pepper. 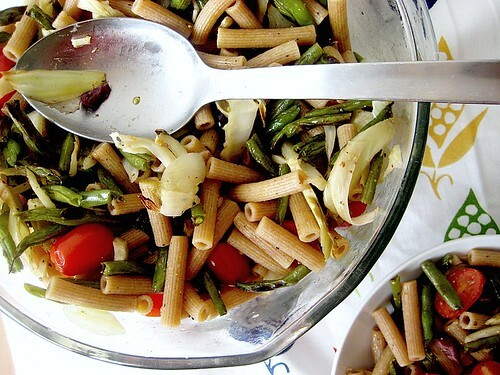 Drizzle over the pasta salad and toss to combine. 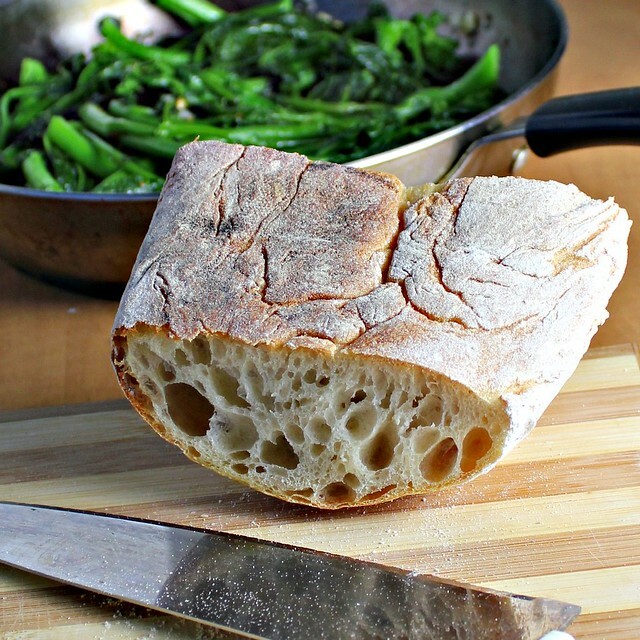 Have you ever tried feeding broccoli rabe (or rapini as some call it) to an eight year old? Or a ten year old? Or a fourteen year old? Eight year old’s don’t like green, as a general rule. And why have bitter when you can eat M&M’s? This is eight year old thought processing at its finest. But then, try again when you’re 18+ and all of a sudden you’ll be walking down the street one day and it will hit you that absolutely need to eat it on a sandwich made with good ciabatta and smothered in cheese. I don’t make the rules. I just live by them. 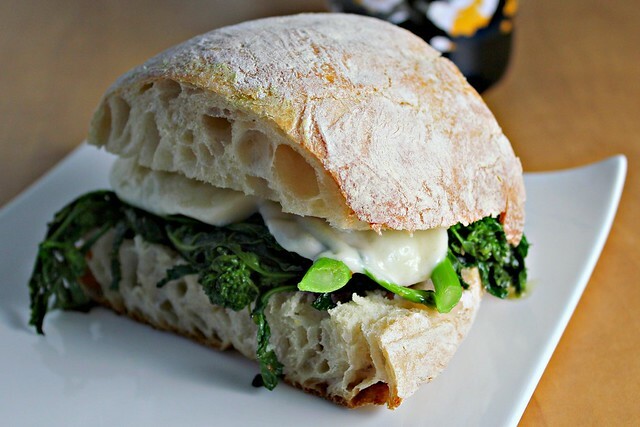 Especially when the rules involve broccoli rabe, mozzarella, and ciabatta. An Italian trilogy to be reckoned with if ever I’ve heard of one. 1. Bring a large pot of salted water to a boil. When it is boiling, add in the broccoli rabe. Boil for 2 minutes. Drain. 2. Heat 2 tbsp oil in a large non-stick skillet. Add in the garlic and cook 30 seconds. Add in the broccoli rabe and red pepper flakes. Add a pinch of salt, to taste. Saute for 5 minutes. Remove from heat. 3. 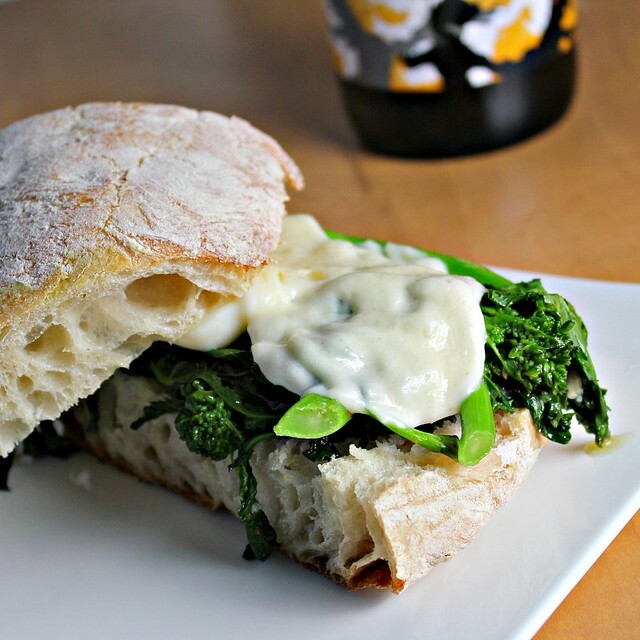 On the ciabatta, layer the broccoli rabe with slices of mozzarella. Place under the broiler until the cheese melts. Some people think of pumpkin as a seasonal ingredient. However. The fifteen cans of it sitting on my bookshelf keep swearing that that’s not true. They are so full of mixed metaphors that I just don’t know what to do with them. Except turn them into pumpkin ravioli. It’s the only way to shut them up. And, coincidentally enough. It keeps my stomach pretty happy as well. Now, I know that homemade pasta seems intimidating. But all you really need is a rolling pin and some biceps and you are good to go. They don’t even need to be big biceps. Mine are laughable sized. They just need to exist. Or you can use a pasta roller or a spiffy KitchenAid stand mixer attachment. No biceps required! Nice. And if you really really really can’t fathom going at it yourself. 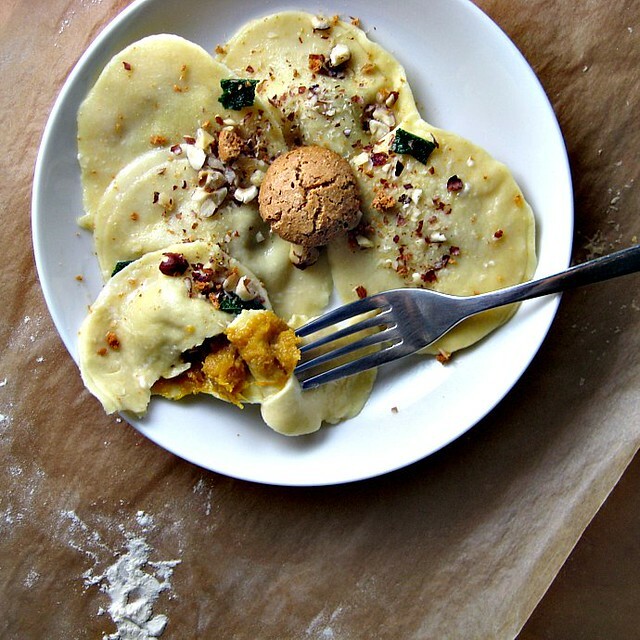 Then store-bought pumpkin or butternut squash ravioli will do just fine. I promise. 1. Preheat the oven to 450. Cut your winter squash of choice in half. Remove the seeds and place cut side up on a baking sheet. Bake for 40-50 minutes or until fork-tender. 2. When cooked, allow to cool enough to touch. Scoop squash flesh into a bowl. Mash with 1/2 cup parmesan cheese, balsamic vinegar, and nutmeg. Add more parmesan cheese to taste. Add salt and pepper to taste. Set aside. 3. In the bowl of a stand mixer, combine the flour, eggs, and olive oil. 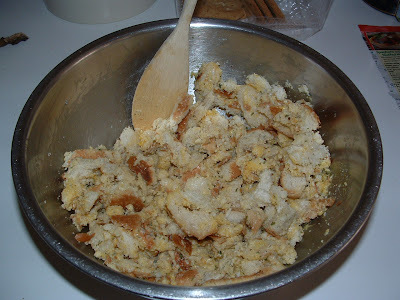 Mix using the bread hook until just combined. Then knead with the hook for about 2 minutes. OR if you don’t have a stand mixer, follow Batali’s instructions here. 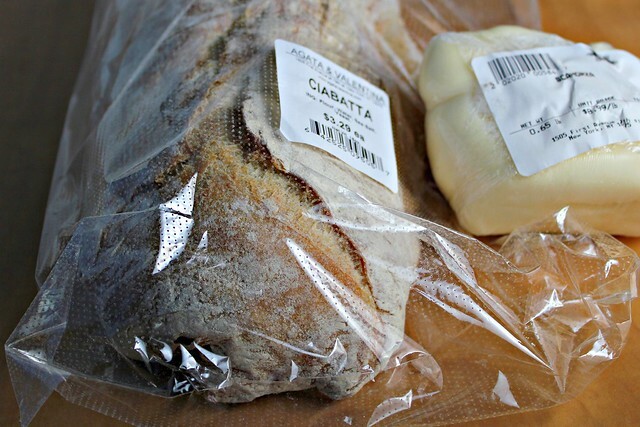 Cover dough in plastic wrap and allow to rest at room temperature for 30 minutes. 4. Set up your pasta maker. Break off a chunk of pasta dough and stretch it out to as thin a rectangle as you can. If it is wet, as mine was, add more flour just past the point of stickiness. Roll out the dough to the thinnest setting on your pasta machine. Using a biscuit cutter or a water glass, cut out 2-inch circles. Spoon approximately a tsp of filling onto the center half of the rounds and cover with a second round. Press the edges together firmly to seal. Repeat with remaining dough and filling. You will have extra filling. Eat it with a spoon. 1. Preheat oven to 350. Spread hazelnuts on a tray and toast in the oven until brown and fragrant, about 5-7 minutes. Allow to cool completely. 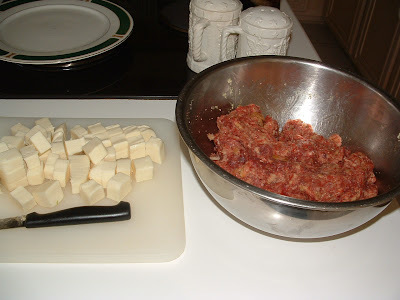 Put in a food processor and chop into small chunks. 2. Bring a large pot of salted water to a boil. Add in a bit of vegetable oil so the ravioli don’t stick to each other. Add the ravioli to the pot. 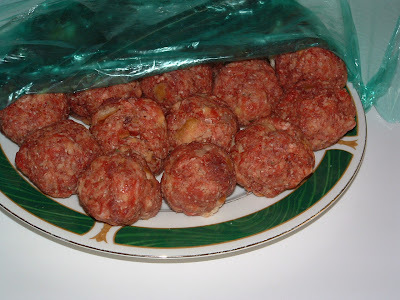 When they float, remove them using a slotted spoon to a plate and tent with foil to keep warm. Reserve the pasta water. 3. In a small saute pan, melt the butter. When butter is sizzling and starts to brown, tear sage leaves into the pan and fry for about 20 seconds. Stir in a ladle of pasta water. Stir in nutmeg and parmesan cheese. Pour sauce over the ravioli and sprinkle with hazelnuts and grated amaretti. My mother likes to call me and inform me of various relatives that we still need to visit this holiday season. She rattles off her list. Name by name. And, mysteriously enough, with each person she also feels compelled to mention their culinary likes and dislikes. Now, I love my mother dearly. But sometimes I want to hit her over the head and scream, “Get to the point already!” Because what she really wants is for me to offer to cook something to bring to all of these family gatherings. But she won’t come out and say it. She’s an odd creature that way. I suspect, since you are reading food blogs, that the same goes for you. The holidays may technically be over but there are still meals to cook and people to have over for dinner and you, being the chef in the family, are expected to whip up something magical. In which case, this lasagna is it. I made it for a holiday potluck at school and it wowed just about everyone. 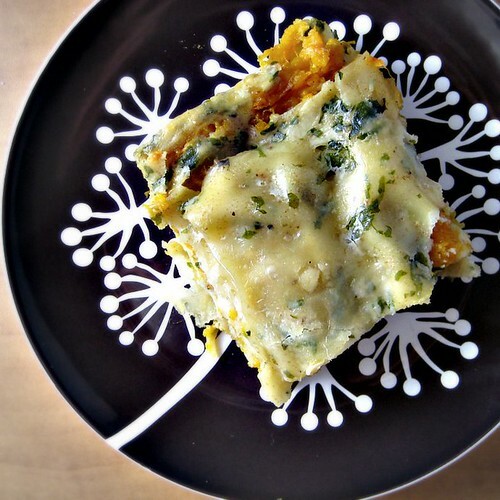 It’s so unlike any lasagna you’ve ever had that you will have to go back for a second piece. Just to revel in the flavors a bit longer. 1. Preheat the oven to 450. Place the cut squash on a baking sheet. Spray with cooking spray or sprinkle with olive oil. Sprinkle with salt and pepper. Roast for 45 minutes to 1 hour or until fork tender. When it is cool enough to touch, scoop out the flesh into a bowl leaving the skin shells behind. Mash with the amaretti cookie crumbles. Season with salt and pepper to taste. 2. Melt the butter in a medium-sized saucepan over medium heat. Add the flour and whisk for 1 minute. Gradually whisk in the milk. Bring to a boil over medium-high heat. 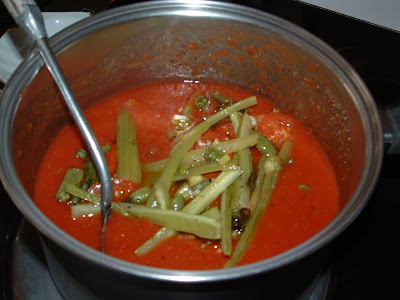 Reduce the heat to medium and simmer until the sauce thickens slightly, whisking often, about five minutes. Whisk in the nutmeg. Cool slightly and transfer half the sauce to a blender. Add the basil and blend until smooth. Return the basil sauce to the pan and stir to blend. Season with salt and pepper, to taste. 3. Preheat the oven to 375. 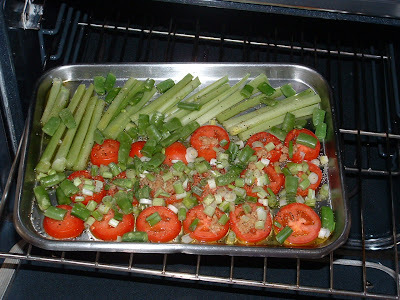 Spread 3/4 cup of the sauce in a 9×13-inch baking pan. Arrange 3 lasagna noodles on the bottom of the pan. Spread 1/3 of the squash puree over the noodles. 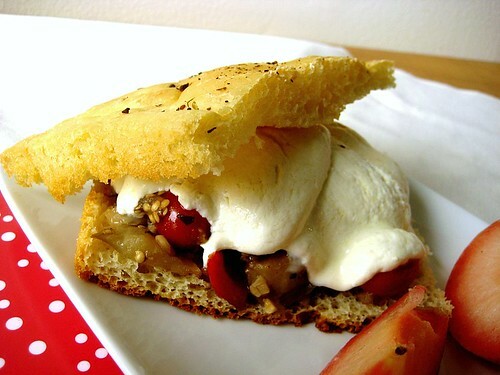 Sprinkle with 1/2 cup mozzarella cheese. Drizzle with 1/2 cup of the sauce. Repeat layering 3 more times. 4. Tightly cover the baking dish with foil and bake the lasagna for 40 minutes. Sprinkle the remaining mozzarella and parmesan cheeses over the lasagna. Continue baking uncovered until the sauce bubbles and the cheese starts to brown, about 15 minutes. Let the lasagna stand 15 minutes before serving. You see. I’ve made this pasta dish. And it has something green in it. Now, I know I know I know how you feel about green especially in food form. But this so totally does not taste green. Oh no no no. 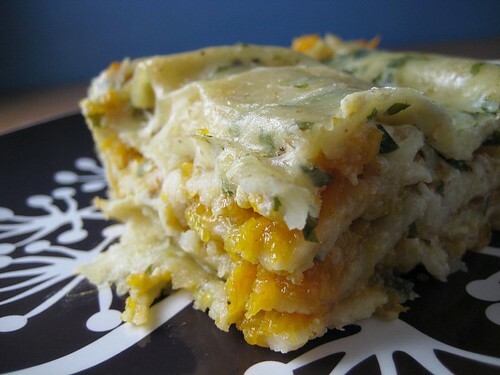 It tastes salty with a hint of sweet from the butternut squash. The crunch of the breadcrumbs contrasting so nicely with the silky smooth pasta. So good that you might even think for a second that it’s bad for you. That maybe you shouldn’t be eating it morning, noon and night for weeks on end. So please, please. Eat this. You will radiate with virtuosity if you do. 1. Set the squash up to roast as instructed above. 2. Combine the olive oil, onion, garlic, and kale in a large pot and cook over medium-high heat, stirring occasionally, until the onion and chard are beginning to soften, about 5 minutes. Season well with sea salt. Add 1/4 cup water, cover, reduce the heat to low and simmer for 20 minutes or until the kale is very tender. 3. Add the winter squash to the pot with the kale. Add the butter, stirring until it melts. Season with pepper and remove from the heat. 4. Around step 2, set up a pot of water with about 6 qts of water in it to boil. Mix in 3 tbsp salt. bring to a boil. Cook the pasta. 5. Drain, reserving 1/2 cup pasta water when you do so. Add the pasta and 1/4 cup of the reserved pasta water to the kale ragu. Toss over medium heat until the pasta is well coated. Add more water if necessary to loosen the sauce. Mix in the parmigiano-reggiano. 6. 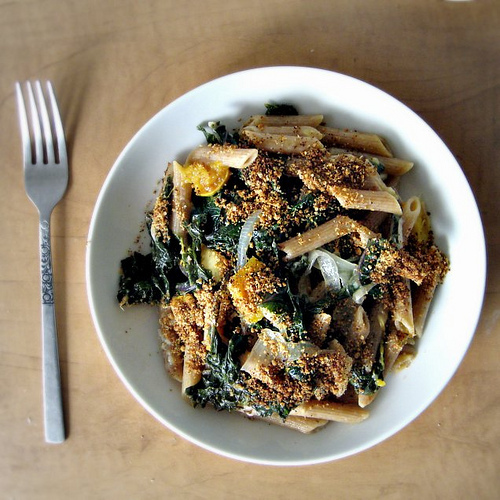 Transfer the pasta to serving bowls and sprinkle the breadcrumbs over the top. Last week, I was naive. When temperatures hit 70 here in New York City, I made the mistake of declaring to the world (via Twitter) that it smelled like spring. In my defense, it did. It smelled like grass and flowers. Hope and limitless potential. Short sleeves and miniskirts. The wind had changed and all of a sudden it smelled barren. Heartless. Frigid. It started to unnerve me after a while. The scent seeping into my pores. And so I did the only thing I could. I stewed. I stewed until my entire house smelled of warmth. Roasted red pepper lentil sausage warmth. Now that is something worth reveling in. Cook the sausage in a large pot, breaking into crumbles with a spatula as you go. Set aside. Heat the oil in the same pot. Add the onion and carrots, and saute until tender, about 10 minutes. Add the garlic and chili pepper flakes and cook until fragrant, about 30 seconds. Add the red wine and deglaze the pan. 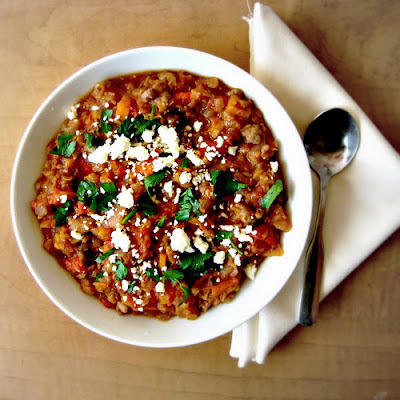 Add the sausage, lentils, chicken broth, tomatoes, roasted red bell peppers, bay leaf, oregano, and balsamic vinegar. Bring to a boil. Reduce the heat, cover and simmer until the lentils are cooked, about 20-30 minutes, stirring occasionally. Season to taste with salt and pepper. Ladle into bowls and top with chopped parsley and feta crumbles. Here’s something that’s going to blow your mind. I used to be a picky eater. Very picky. In fact, I would say that for most of my childhood I was only marauding as an Italian. 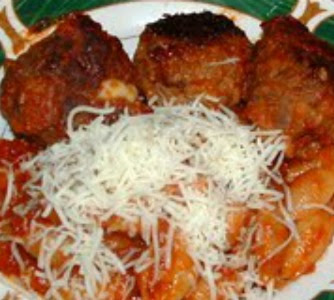 Any true Italian family would have disowned me, what with my distaste for tomato sauce, fish, and sausage, among many other things. But my parents dealt pretty well, much to their credit. When I was eight, my father was sent on a business trip to Italy for three weeks (he works for an Italian bank). And so all four of us – my mom, my dad, my brother, and I (my sister hadn’t been born yet) – ended up on a transatlantic flight headed straight for the old country. We stayed for six weeks, meandering through the city of Torino and then the small beachside town of Chiavari. And while I actually do remember a fair portion of the trip, especially considering how young I was, the thing that stands out most in my mind was the focaccia. Now, this may be because this was all I would eat for the entire trip. I hated the pizza. I hated the pasta. I was obviously young and stupid, And delusional. 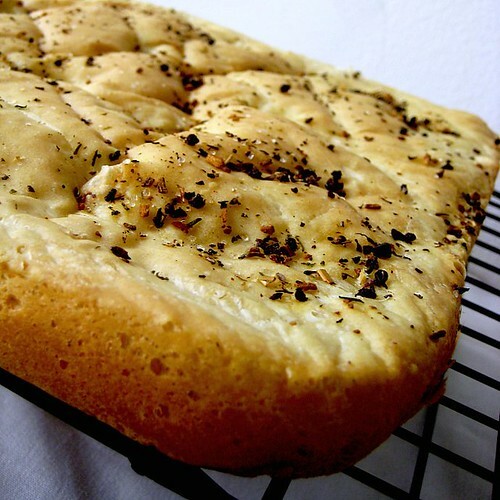 But the focaccia? Oh my lord that was good. Sometimes when I close my eyes and think really hard, I can still taste it. Salty. Olive oil-y. The kind of good that, when you bite into it, you know everything must be right in the world. At least for that second in space and time. 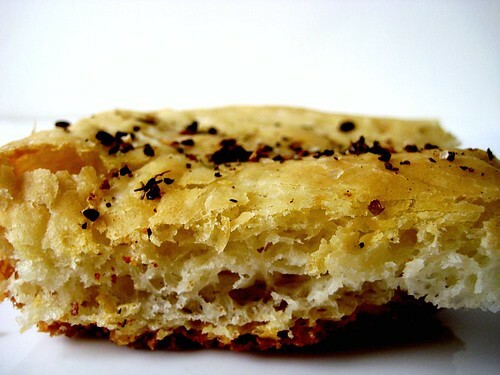 Though I’ve searched high and low, I’m pretty sure focaccia that good doesn’t exist here in the US. That stuff they serve you in restaurants doesn’t even come close. This recipe that I’m sharing with you, however, is one of the best renditions I’ve found so far. It’s not the exact flavor and texture, but, to be fair, I’m pretty sure that’s because there’s some secret ingredient that the Italians are putting in the bread (crack, cocaine, heroin…who knows. Who cares? It’s totally worth it.) to make it taste so good. I’ve sent a few private investigators over to Italy to figure it out. But so far all of them have come back twenty pounds heavier, extremely content, but with little to no insight into “the focaccia problem”, as I call it. When you want something done, you should do it yourself, I guess. So until I have a chance to get myself over to Italy, this is going to have to suffice. Make it. And dream with me. Before I get to the recipe, I just want to share with all of you a fun, new FREE e-cookbook that has come out (featuring a few recipes by yours truly). The e-cookbook features smart schooltime recipes for snacks and lunch food that are fast, easy, and healthy. Guaranteed kid-tested, mother-approved kind of stuff. You can download it here. Spray a 13 x 9 pan with cooking spray then drizzle 1 to 2 tablespoons of extra virgin olive oil over the bottom of the pan. Place the water, olive oil, salt, flour and yeast in the bowl of a stand mixer fitted with the paddle attachment. Beat on high speed for about 1 minute. The dough will be smooth, elastic and sticky. Transfer the dough to the prepared baking pan. With oil or water on the tip of your fingers (don’t use more flour, you want the dough to remain sticky), press the dough into the bottom of the pan, nudging to get it all the way into the corners. Cover the pan and let the dough rise for about 60 minutes, or until it is puffy. While the dough rises, preheat oven to 375 F.
Once risen, uncover the pan and use your fingers to make dimples all over the dough (you may need a bit of oil on your fingers if the dough is too sticky). 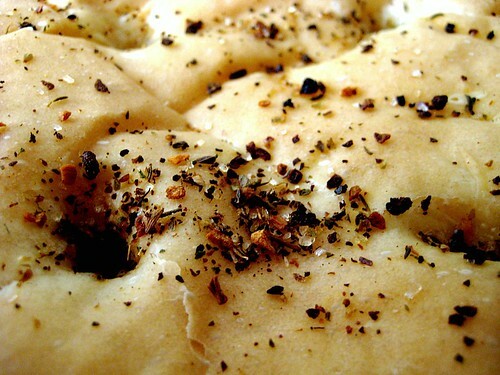 Drizzle the dough lightly with olive oil and sprinkle it with the Italian seasoning. 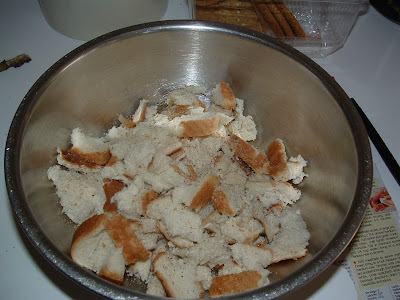 Bake for 35-40 minutes, or until the bread is golden brown. 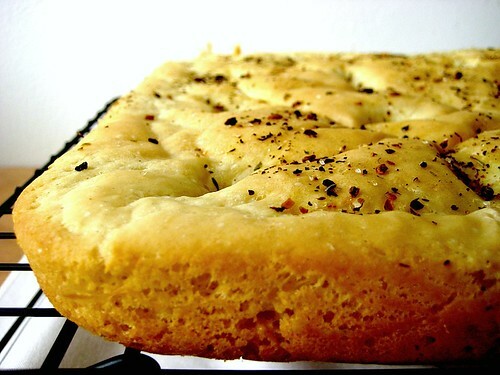 Remove the pan to a wire rack to cool for 5 minutes, then turn the focaccia out of the pan (otherwise the bottom crust will get soggy). Serve warm or at room temperature. 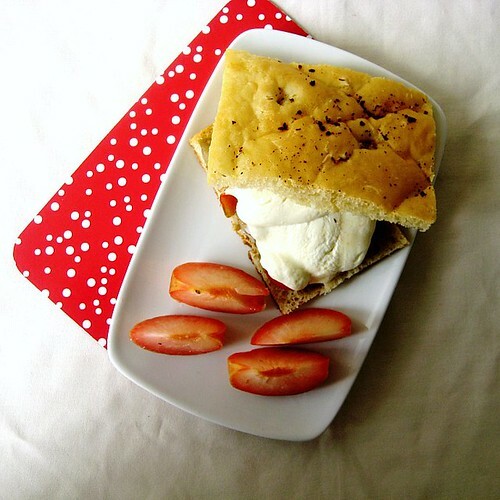 I made the focaccia into a grilled eggplant, tomato, and fresh mozzarella sandwich. Amazing!